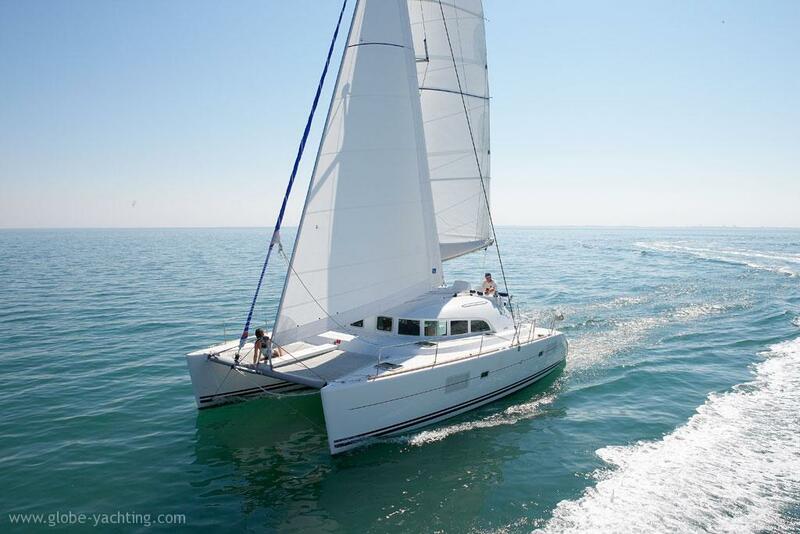 Catamaran charter Croatia – sailing in Croatia. 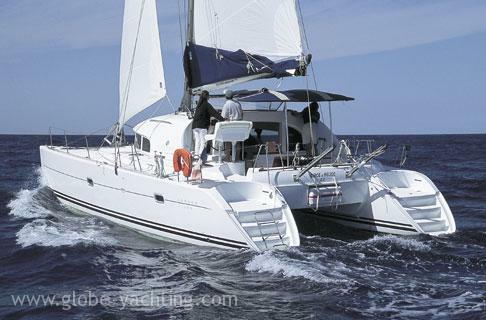 Bareboat and skippered charter is possible. 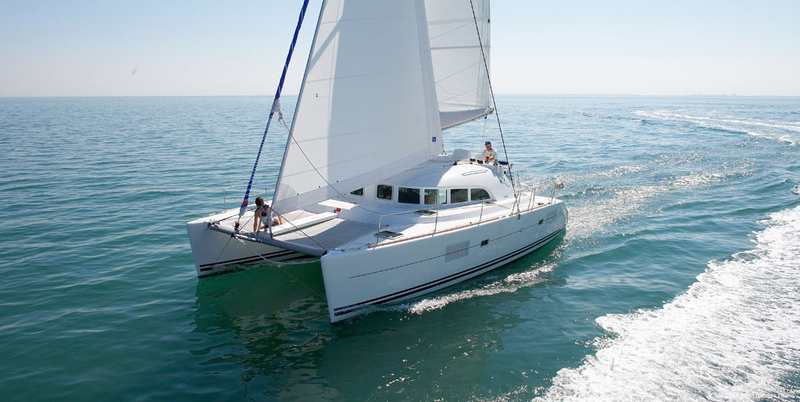 Her simple, efficient deck layout, security and comfort on board make even a small crew will find the Lagoon 380 a fast and easy to manoeuvre boat. 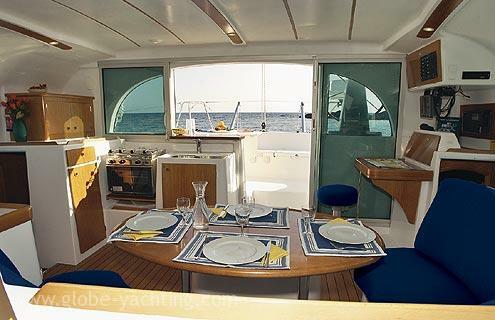 The galley is the strategic link between the saloon and the cockpit. 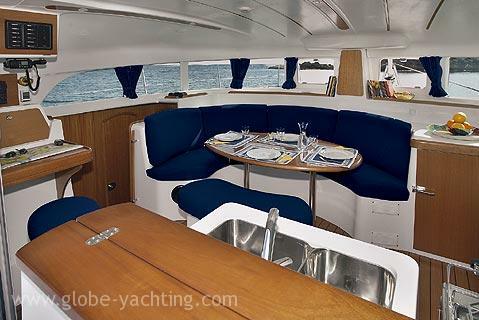 The curved saloon offers a 360° view through the portholes and large bay windows. 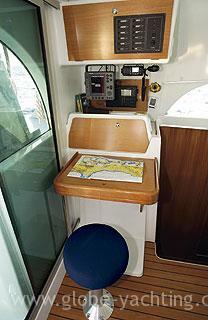 The chart table is directly accessible from the cockpit, a real “summer lounge” with its table and comfortable bench seats are immediately adjacent to the galley. 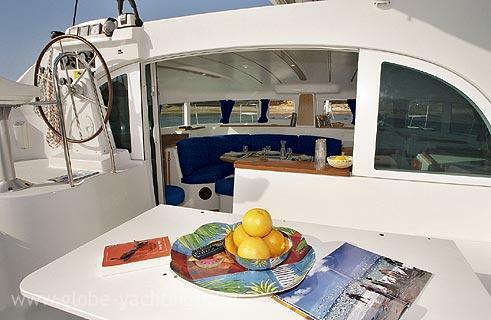 Space, volume, light, ergonomics, the warmth of wood, soft upholstery, all these characteristics have been taken into account to ensure that you fully enjoy cruising onboard your Lagoon 380. 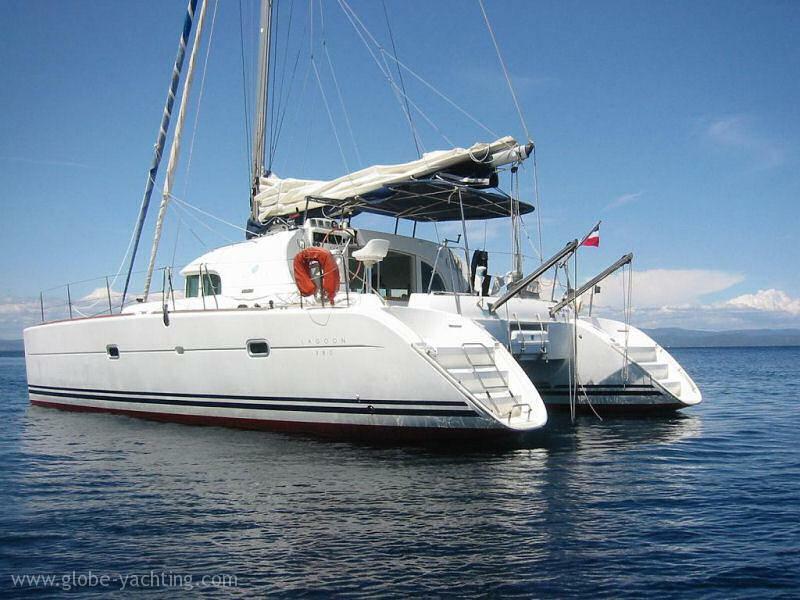 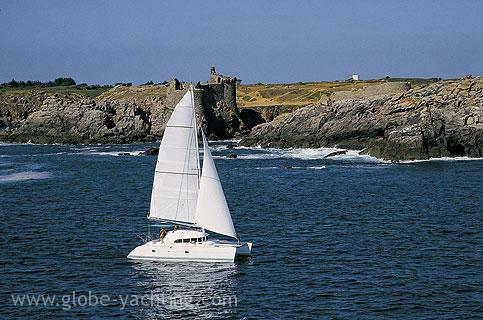 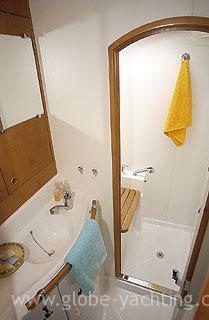 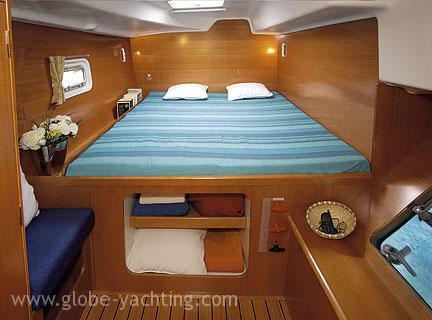 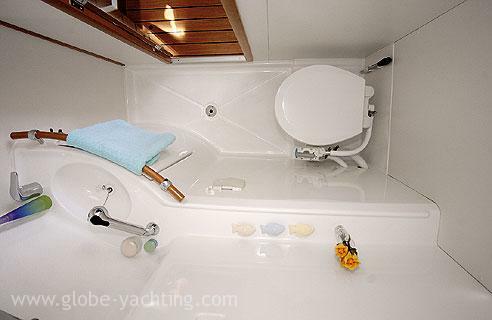 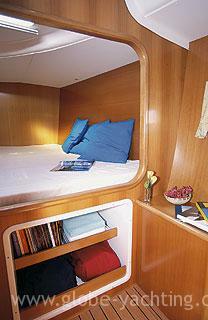 Sailing catamaran Lagoon 380 is 4 cabins sailing yacht for up to 10 persons on board.